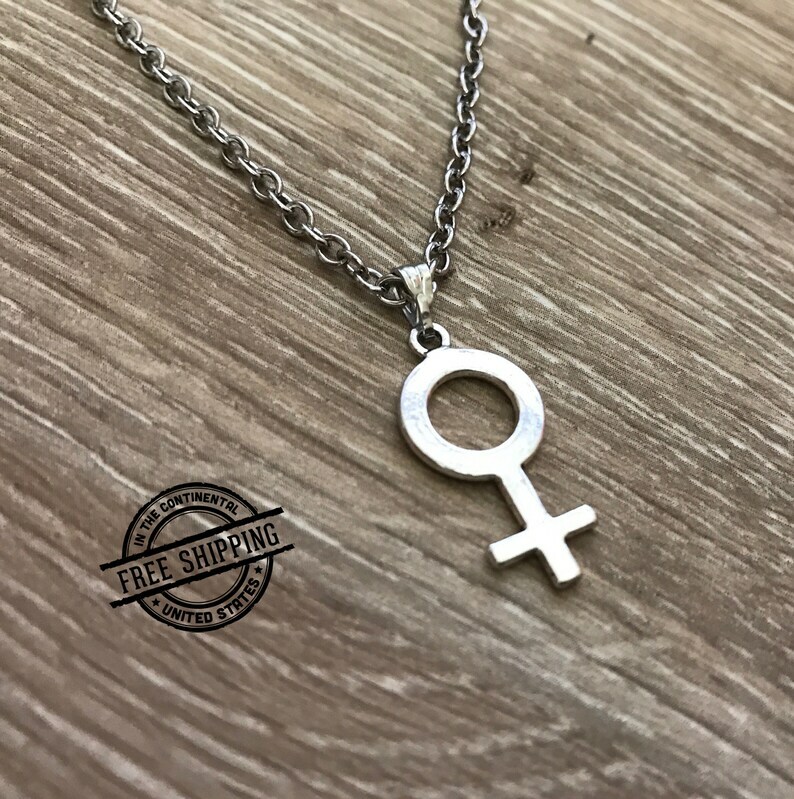 We found these amazing female symbol charms while shopping and decided to turn them into cute feminist necklaces! If being part of a sisterhood and standing your ground for equal rights is your thing, support VagArchy today and make a statement with a cute feminist jewelry! The charm was much bigger than expected and the chain was not as dark as it appeared in pictures. Sizes are not US sizes. Don't have time to return, gave to my 25 yr old. All items are handmade to order and ship via USPS within 3-5 business days (this does not include transit time once your order is handed off to USPS, it just means the item will be handed off to USPS within 3-5 business days). Once your order has shipped you'll receive a tracking number for it. At that point the USPS website will be able to provide a projected delivery date. VagArchy does not have control over the speed of delivery after it departs our California location. We can not provide a guaranteed delivery date. We can! Simply choose priority shipping at checkout and your order will travel via air to it's destination. I Don't Live In The USA, Can I Still Order? Absolutely! However, we only offer free shipping to customers within the continental United States. International orders may be subject to duties/customs fees. We do not have any way to estimate these fees or pay them for you. These fees vary by country. There is no guaranteed delivery speed for international mail and international parcels can take a few weeks to arrive. Please plan accordingly if you are ordering from outside the US. Oh No! My Shirt Doesn't Fit! Now What? We want you to be 100% satisfied with your order. Please double check measurements before purchasing. $10 restocking fee will be subtracted from refund amount. If there are any issues please contact us, we'd be happy to help you. We welcome returns within 3 days of order delivery. Please email or send us a message for return instructions. Returned items must be in original condition. Please note that we do not cover the cost to mail back returns or refund original shipping costs*. We also cannot offer free shipping on subsequent purchases. We only offer free returns or free exchanges if there was an error on our part (i.e. incorrect item shipped). Any items that are customized or occasion-specific are NOT eligible for returns/exchanges.